Top, Skirt, Belt: Anthropologie. Cardigan: Madewell. Bag: J Crew. Shoes: Leifsdottir. 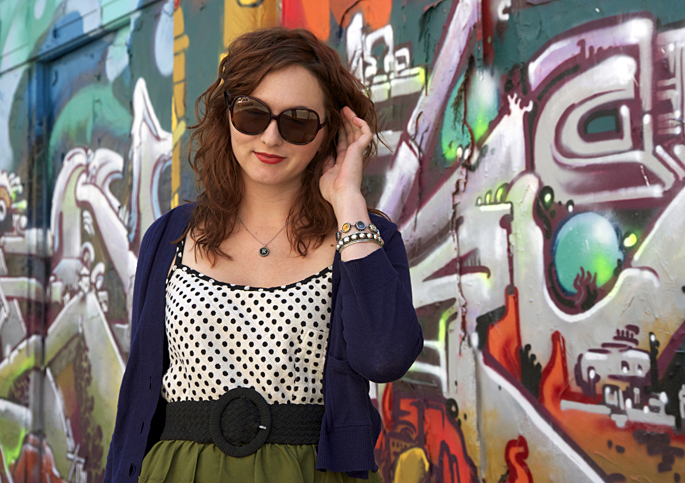 Sunglasses: Warby Parker. Bracelets: via Oman, The Weekend Store. Watch: Vintage. I don’t have any great excuse or fantastic story to explain my absence lately. I caught the same cold 3 times (not fun) and things have just been really busy at work. A ceramic studio opened up near my home a few weeks ago, so I have also been spending some free time making silly things out of clay and enjoying getting my hands dirty instead of staring at my computer. That said, I have also missed blogging and following along with all of my favorite blogger pals. It’s nice to be back. I’m glad you’re back. You look great and I just realized that I really love your hair. I know, that’s weird, but it’s true. 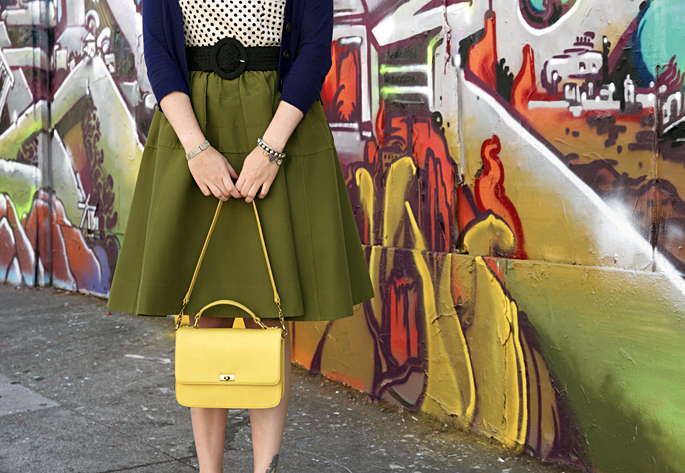 Great post for your “comeback!” =) Adore the skirt! Hey Rebecca! Welcome back, sorry to hear about that annoying cold! 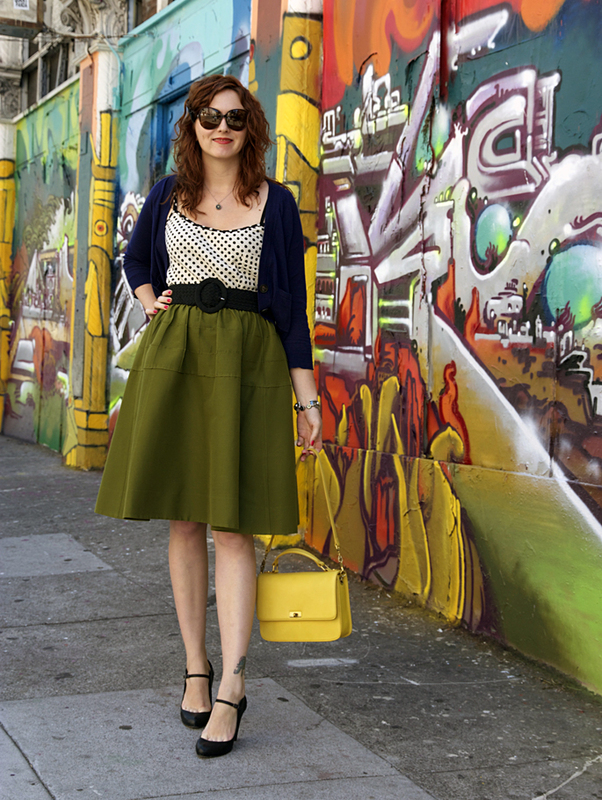 I adore your shoes, and love how cute & ladylike you look among the graffiti backdrop! So first off, welcome back . I love the background you chose here ( I have a thing for graffiti & old cemeteries, no relation ;). These are great colors for you. I almost bought the same color Edie bag but wasn’t fast enough. I also think these shoes are just fab!